How to win the dogfight for HomeAdvisor leads. The HomeAdvisors and CraftJacks of the world sell the same leads to 3 to 20 other contractors. The unsuspecting homeowner who uses these sites will get incessant calls and dozens of emails… and they’ll regret the moment they ever clicked “Submit” on that online lead form. Why HomeAdvisor is like The Contractor Hunger Games. Contractors often ask me what I think of third-party lead-aggregation services like HomeAdvisor, Quinn Street, CraftJack, and the like. In most cases, my response is the same… Stay away. Far away. I’ve found problems on your website. A few months ago, my buddy Brett Abbott—President of Pool Builder Marketing—emailed his subscriber list about how to spot scam emails that say they can “fix” your website. You probably know the emails I’m talking about. 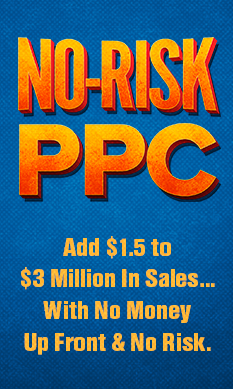 Capacity for SEO & PPC is 100 companies for each service; companies who purchase both will be given priority. Capacity for Little SEO is a maximum of 30 companies for each service. Once limits have been met, we will waitlist companies who wish to apply. Sometimes you have to learn lessons the hard way. When we transitioned from a marketing training company to a marketing services company in 2011, we failed to make an important distinction. In training, it doesn’t really matter how many customers you have—the preparation and staffing needed to hold a webinar for 50 companies is exactly the same as is needed for 500 companies. When we started building websites and doing Pay Per Click & Search Engine Optimization services for contractors, we took a similar “get as many customers as you can with as little staff as possible” attitude—and the results were less than ideal. Our customer service was, average at best and in some cases downright miserable. We were in perpetual reactive mode, putting out fires and trying to keep everyone happy. Some days were better than others. Overall, it was not good for our customers or our employees. So in June 2015, we stopped bringing on new customers altogether. We (the executive team of Rich Harshaw And Bryan Bauman) sat down over a period of 3 weeks and started creating the perfect marketing partner option for remodelers and contractors. We completely overhauled what we offered, how we offered them, the processes we used to manage them and in some cases – the team members in our company responsible for them. And finally, we parted ways with past clients who wouldn’t be a good fit for our new company culture and goals. 1) Achieve Excellence For Our Clients, Period. It took us 6 months to implement the required changes to achieve this goal. But now all of our clients receive pro-active reporting. Easy access to friendly, knowledgeable people. Total transparency. Quick answers. Outstanding results. Now we’re taking on new customers again—but with a catch. We don’t want just any contractor or remodeler as a customer. 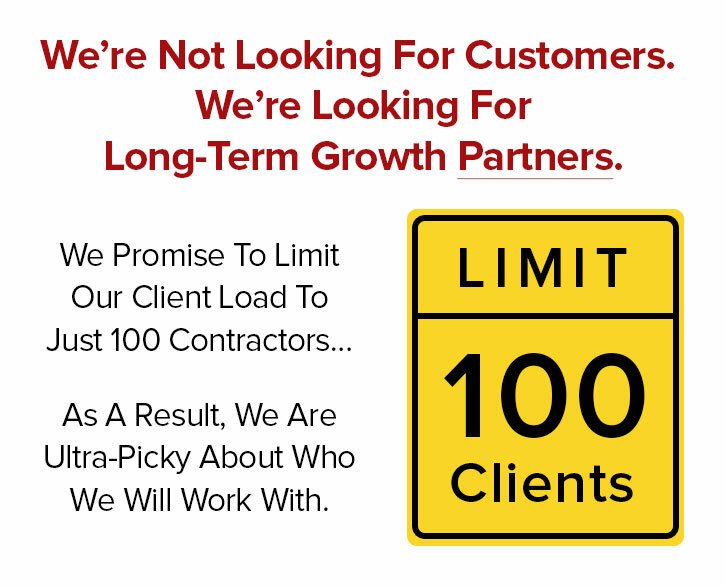 We are looking for long-term partners; contractors that we can help grow, and grow with over time. Transparency: If we ever mess up, you’ll know! Life is short. We only want to work with people and companies we like and who share our same values. 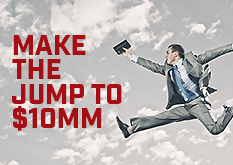 We want to help you grow now and into the future… whatever your marketing needs may be. Capacity for “Little SEO” is a maximum of 30 companies for each service.